Nearly everything important in twelve-year-old Gabriella’s life that summer of 1957 can be traced to the river. On the North Carolina military base where she lives, she meets the African-American Marine Hawkins by the river’s brown-green water. 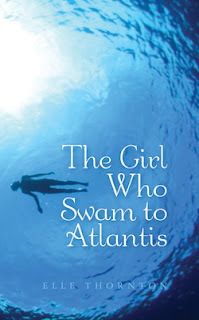 When her father, the general, treats her as if she doesn’t exist, Gabriella’s determined to show him she’s good at something: she’ll learn to swim. And it’s the river with its mysterious worlds that leads to her mother, even though she doesn’t want to be found. At the river, Gabriella discovers Hawkins is far more than a servant in the kitchen of her father’s quarters. He becomes her swim coach and a person she can talk with—even about the tragedy of the youth Emmett Till. The fourteen-year-old was lynched two years earlier, his body thrown into Mississippi’s Tallahatchie river. But this river, her river, isn’t a place of death. Emmett’s spirit is alive in its waters. It’s a place of magic. At the river she works with Hawkins on her swimming so she can enter a competition and make her father proud. Then maybe the general won’t send her north to school for another lonely year. At the river Hawkins helps her find her strength. Emmett helps her find her heart. I grew up on military bases in the south and west of the 1950s. And it still feels like I’m really home when I’m around airfields, parade grounds, barracks, Quonset huts, the PX, and folks in uniform. This background has found its way into my first historical fiction novel, Swimming to Atlantis. The story tells how the murdered youth Emmett Till comes to life in twelve-year-old Gabriella’s heart that summer of 1957, when the African-American Marine Hawkins teaches her to swim in a North Carolina river. I’ve been fortunate to work with some fine reporters and editors who taught me to write news stories. After leaving the news business, I became a technical writer for a major computer company and later a marketing writer for still another international corporation. Journalism taught me to write under tremendous pressure and to feel comfortable with words. Working with engineers as a technical writing taught me the importance of clarity. I valued all that I’d learned, but something was missing. Since grade school, I’d loved books and poetry. So when I had the opportunity, I earned a graduate degree in English and began to study and write poetry and fiction along with teaching. To date, some of my poetry has been published in small journals. The adventure of becoming a YA novelist is unfolding with the publication of The Girl Who Swam to Atlantis. My name’s Tim Vicary and I live near the historic city of York, in the north east of England. I’m a writer and also a teacher at the university of York. I’ve written four historical novels, three legal thrillers, a couple of textbooks and around twenty graded readers for foreign learners of English. I’m a grandfather and hope to retire next year, so that I can concentrate on writing more. I live in the English countryside with my beloved wife, two dogs, two cats and two horses. IAN. Hi Tim. Please tell us about your latest book. TV. Nobody’s Slave is the story of two boys on a voyage which transforms both their lives. Madu, a young boy from West Africa, is captured by the Elizabethan slave-trader Sir John Hawkins. 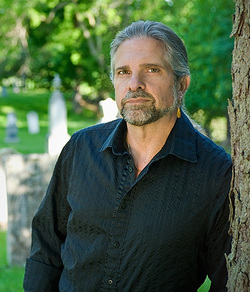 Tom Oakley is an English sailor in charge of the slaves. He is asked to train Madu to be a page-boy to serve Hawkins on board ship. At first the two boys hate each other. But as the voyage continues their positions are reversed. Tom becomes a prisoner of the Spanish colonists in Mexico, and is forced to take orders from Madu. Both boys long to escape, and come to depend on each other much more than they could ever have imagined. This is an adventure story based on real historical events. History as you never learned it in school! IAN. How long did it take to write Nobody’s Slave? TV. Probably about six or eight months altogether. And a lot of editing and revising afterwards. IAN. What inspired you to write Nobody’s Slave? TV. As a boy I loved to read stories about Elizabethan sailors like Sir Francis Drake and Sir John Hawkins. They were always presented as great English heroes and of course they were, they were very brave and talented men. But unfortunately there was another side to them. Hawkins in particular was a slave trader. He captured hundreds of African slaves and sold them to Spanish colonists in across the Atlantic. So I began to wonder what it was like for those Africans, and how their story could be included in a historical novel too. So I read as much as I could about the history of one particular voyage, in 1568 – a particularly exciting and dramatic voyage, as it turned out – and then I tried to write a novel which would show what it might have been like for two young boys on either side, one English and one African. TV. I write in the morning whenever I can, because that is when I have most energy, but I have a teaching job at the university so I can’t always do that, obviously. I write in the evenings when I have the energy, and in the vacations. TV. I always try to have an outline, because it’s a terrible waste of time to write two or three chapters and then realize you can’t use them because you’ve gone in the wrong direction. But my plans are like all plans; they change as soon as they come into contact with reality! IAN. How is Nobody’s Slave different from others in your genre? TV. 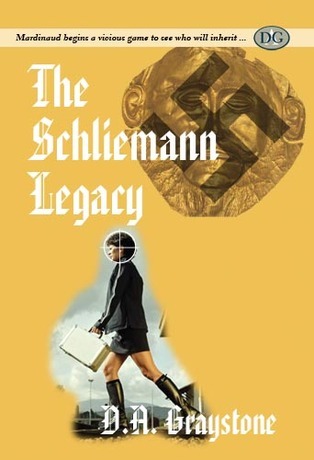 Well, I write two sorts of books: historical novels and legal thrillers. Nobody’s Slave is a historical novel, but it’s set in an earlier period to my other historical novels. One of them, The Monmouth Summer, is set in England in 1685, and the other two, The Blood Upon the Rose, and Cat and Mouse, are set in England and Ireland around the time of the first world war, in a world a bit like the TV drama Downton Abbey. My legal thrillers, A Game of Proof, A Fatal Verdict, and Bold Counsel, are all set in modern times. IAN. Is Nobody’s Slave published in print, e-book or both? TV. It’s an ebook, at the moment. IAN. What do you hope your readers come away with after reading Nobody’s Slave? TV. Well, I hope they will have had an exciting, enjoyable read, will have laughed and cried a little with the characters, and at the same time will have learned a little history, in a painless, entertaining way. I’ve tried to write a fast-moving, entertaining story, but I’ve done my research pretty carefully, so the readers can trust me that all the historical events in the story really did happen, and everything that happens to the two boys really could have happened. TV. Amazon.com, Amazon.co.uk, and Smashwords. I expect it will be on Kobo and Nook and other outlets soon. TV. Nobody’s Slave is a stand-alone book at the moment, though it ends in a way that means a sequel might be possible one day. At the moment I’m trying to get started on a fourth book in my legal thriller series, The Trials of Sarah Newby. In this excerpt both boys are slaves of a rich Spanish lord in Mexico City. Madu, the African boy, has just ordered the English boy, Tom, to clean out the privy. Tom hesitated, and some of the light seemed to fade from his eyes as their difference in status sank in. But the anger of the burly steward Antonio was not to be trifled with; he knew what Madu said about whipping was true. He took a deep, bitter breath. It was a small victory, but a vital one for Madu, and he knew he would have to win it many times again. But at least he had some slight claim to Tom's gratitude now, as well as his scorn. Three days ago, when the Viceroy had decreed that anyone who wished could take the recaptured English sailors into their houses as unpaid servants - slaves, in fact, if not in name - it had been Madu who had helped Don Carlo choose Tom, by saying, when asked, that he was reliable, a hard worker. Neither of these things had been especially true, but Madu felt he owed Tom something, for having unwittingly caused his recapture; and he knew Don Carlo was not a naturally cruel master, as others might have been. Tom owed him something for that, Madu thought; and now that Tom was actually in Don Carlo's household with him, he saw that it was vital to make him realise that things were not the same between them as they had been on the Jesus. Here Tom was even less important than he was himself. But Tom did not seem to accept this. ‘You're not my master,’ he hissed angrily at Madu later that night, as Madu showed him where to sleep and told him what he would have to do the next day. No answer immediately came to Tom's lips. Tired, irritable, angry, he stared at the earnest black face glaring into his own, and then shook his head to try and clear it of confusion. The two pairs of eyes, one alight with that cold, unearthly blue, the other with the deep, steady brown of the earth itself, glared at each other, refusing to agree. Yet later, as each boy lay on his hard wooden bed, both Tom and Madu were troubled by what the other had said, and the words of their quarrel echoed in their dreams like the whispers of ghosts. Derek has had a varied career including jewellery store manager, warehouse manager for an ice cream distributor, manager of a gas station, and the finance and systems manager for a children's charity. In 2002, Derek quit his day job and started his own office automation and Internet presence company and a relaxation massage business with his wife. Derek is also a Reiki Master. Derek lives with his wife Yvette in their home in London Ontario when they aren't visiting their island getaway in Exuma, Bahamas. Derek is also the father of four girls and one boy and has five granddaughters with another on the way. Forty year old Preston Peterson, pudgy, myopic and socially inept, knows the terror of being bullied. From his earliest childhood memory, he has faced ridicule, name calling, harassment and beatings. Fear ruled his life, possessed him, controlled his every encounter with others. Now, rage rules his life. Digging out his despised High School year book, Preston uses computer aged photographs to find and kill look-alikes of his persecutors. The time has come for those who bullied him to pay the ultimate price for their torture. Preston is getting even and everyone is a target. 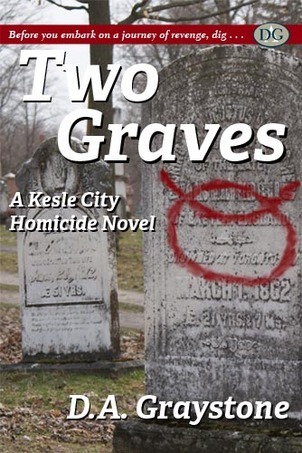 But with a panicked city and Lieutenant Gregg Mann's task force looking for him, Preston should have remembered the Chinese proverb, "Before you embark on a journey of revenge, dig TWO GRAVES." 1873 — Heinrich Schliemann discovered ancient treasure in Turkey which proved the existence of Troy. 1943 — the treasure disappeared from Nazi Germany. David Morritt, recently retired Mossad agent and survivor of Majdanek. Katrina Kontoravdis, a disgraced Greek intelligence operative hoping to redeem herself. Duman, a vicious Turkish terrorist who will do anything to achieve his objectives. From Europe, to Heiden's fortress in Colombia, to a secluded estate in Jamaica, Mardinaud uses the hatred between Greece and Turkey and the horror of the holocaust to fuel his twisted game. More than the treasure, survival becomes the ultimate prize in this battle of haunting memories, revenge, and love.